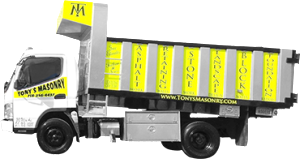 Tony’s Masonry is a total package commercial concrete / masonry contractor servicing the NYC area. OUR MISSION is to supply our customers with top quality services at a competitive price. To develop relationships with our clients and our employees that are based on honesty, commitment and loyalty. We will collaborate with you from the beginning phases of your project to the end.